Because limited parking is available at Indian Well State Park, parking within the park is reserved for cars carrying boats, boat trailers, utility trailers, crew buses, crew vans and passenger vehicles with handicap parking tags. Note that in order to facilitate parking in a limited space for the large number of car-topping scullers, all scullers will be required to unload their boat before moving their car to its parking spot. All other competitor and spectator passenger cars will park offsite. Regular bus service is provided between the offsite parking location and Indian Well State Park. Allow a minimum of 30 mins for transit time during peak hours. Note that propane tanks are not allowed on the shuttle buses. PLEASE NOTE: PARKING COSTS $15 AT OUR OFFSITE LOCATION. HALF THE FEE GOES TO OUR VOLUNTEER PARTNERS FROM HABITAT FOR HUMANITY, AND THE REST TO OFFSET THE RISING COST OF OUR SHUTTLE BUS SERVICE. Roads nearby the park entrance will be marked and enforced as a tow-zone and Shelton police will turn away cars at the park entrance. Drop-offs at the park entrance are not permitted for safety reasons. Please note that camping and alcohol are not allowed in the park. Also, dogs are prohibited from Indian Well State Park for group events like our regatta. No exceptions. If you are late go directly to offsite parking. Trying to get dropped off at Indian Well State Park will only delay you more. Be sure to check the event schedule and leave enough time to park and ride the shuttle. Boat and utility trailers are permitted to park and unload at Indian Well Friday afternoon from 1 - 4 pm. A security guard will be stationed at the park until midnight, but New Haven Rowing Club and the State of Connecticut are not responsible for any damage that may occur to equipment stored overnight at Indian Well State Park. All remaining boat and utility trailers must be in the park before 8:00am on Saturday. The park will open at 6:00am. After 8:00am all trailers may encounter delays and utility trailers may be turned away. Crew buses and crew vans will be allowed in the park until we reach capacity in the parking lot dedicated to their use. After that, crew buses and vans will be sent to offsite parking after they have dropped off athletes. There is a $15 parking fee. 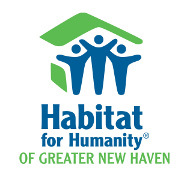 Half the proceeds go to Habitat for Humanity, while the rest helps offset rising costs for our shuttle bus service. Offsite parking opens at 6:15am. The first shuttle bus will leave the parking area at 6:30am. Turn left onto Progress Drive, go past Corporate Drive about 150 yds and turn left. Turn right onto Maple Ave and continue 0.1 miles to Meadow Street. Take a left onto Nells Rock Rd and continue 1.5 miles to street light intersection of Nells Rock and Bridgeport Ave.
Take a right onto Commerce Drive and continue up Commerce Drive 0.6 miles to Progress Drive. Turn left onto Progress Dr, go past Corporate Drive about 150 yds and turn left. Follow Directions Heading South on Route 8 above.